Alan Flurry, a filmmaker in Athens, Ga., and author of Cansville, knows that art ultimately requires not just its pound of flesh…but all the artist’s flesh, along with the companion soul and mind. Flurry explores creative process in this short novel focused on a theater director in Louisville commissioned to perform a daunting task: Make something new to save something old. Cansville, an antiquated playhouse, is Everytheater. (Well, at least a lot of theaters nowadays.) Down at the heels, nearly dead as Vaudeville, Cansville still has a beating heart. The theater puts its hope for resurrection behind Toby Alameda, a promising, award-winning young director. And a benefactor stands behind the theater financially…to a point. Finally, Cansville’s cast and crew—a dentist, a cleaning lady, merchants, workaday folk like that—wait in the wings to serve their beloved playhouse. These unsung heroes, like theater people the world over, hold a genetic fealty to the make-believe world that happens when the lights come up. Flurry casts his Toby as Everydirector, the artist in search of a vehicle. Toby leaves an unsettled home life in a far city to take on the new role at Cansville, schlepping along every bit of personal baggage he attempts to leave behind…but also showing up with a true artist’s soul and an open mind. He’ll need these virtues. In his initial meeting with the powers-that-be who hire him to Louisville, Toby receives an unexpected commission—he must somehow revive Cansville with a newly written work that revives, exhilarates, puts fannies in seats. The play’s the thing. When people get to be only who they want to be by taking on the roles of others, a particular sort of personality is unleashed – on stage. What happens to it all the rest of the time? It is suppressed. And has to be. The job of bringing a character on a page to life is an emotional impossible for most any other kind of people, such are we wedded to who we are and what any and everything means to us individually. To believably exist as Ophelia, for example, for three hours before a darkened audience of strangers requires a desire to stand immutable against the desires of one’s father and brother, all for a man who is by all accounts mad. If what we do verifiably makes up the greater part of our identity, then what to make of those who are only who they are when they are portraying another? The high expectations at Cansville offer Toby much reason for philosophizing—he must critically test his artistic theories of creativity and invention in fresh surroundings with a fresh challenge. Happily, Toby masters the moment, saved by his openness to real-world sights, sounds, people and scenes that wait, like flowers in a garden, for the perceptive artist to come through and select the right arrangement to display under the proscenium arch. The big new world unfolding around Toby becomes his actual plot and plan, absorbed and repurposed for the small world of the stage. So Toby the playwright has happen to him what happens to Flurry the filmmaker/novelist, and Smith the sculptor, and Jones the painter, and Williams the musician, etc. Toby will realize that the theater all around him—the world we walk through—sources all creativity. An ear to the ground is an ear to the sky. God is in the details…and details are all we have, in any event. Flurry invests Toby’s musings with just enough incident to keep you turning pages, pulling for the home team. The thespian misfits, the unlikely heroes that must pool enough theatricality and…dare we say talent…to save Toby’s bacon, and Cansville’s…they keep us in our seats. Flurry conjures Uncle, the badly overweight but stage-sensitive female rising star of the playhouse. He gives us gifted Charlotte, housekeeper at the Johnson Hotel where Toby lives. On her shift, Charlotte dust mops and changes bed sheets…afterward she practices classical piano downstairs. (She, of course, will compose music for Toby’s new play.) We meet Pres, Charlotte’s boyfriend, a quiet unheralded genius of lighting design, and Grey, a problematic transsexual actor. Others tread the boards of Flurry’s novel too; as with any alchemy, any show, all the elements must blend, transform, catalyze. Flurry pulls it off. 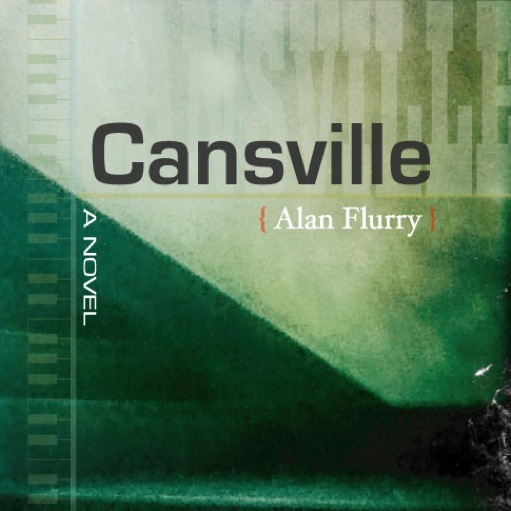 Cansville is not like every novel you read…and, in my book, that’s reason enough on its own to check out this sincere and good-hearted work of fiction. It’s available at all the online retailers. Charles McNair works as Books Editor for Paste. His newest novel, Pickett’s Charge, publishes August 31.